David is a Marshall native who graduated in 1981 from Hope College in Holland Michigan with a degree in economics and in 1984 from Hamline University School of Law in St. Paul, Minnesota with a Juris Doctorate. 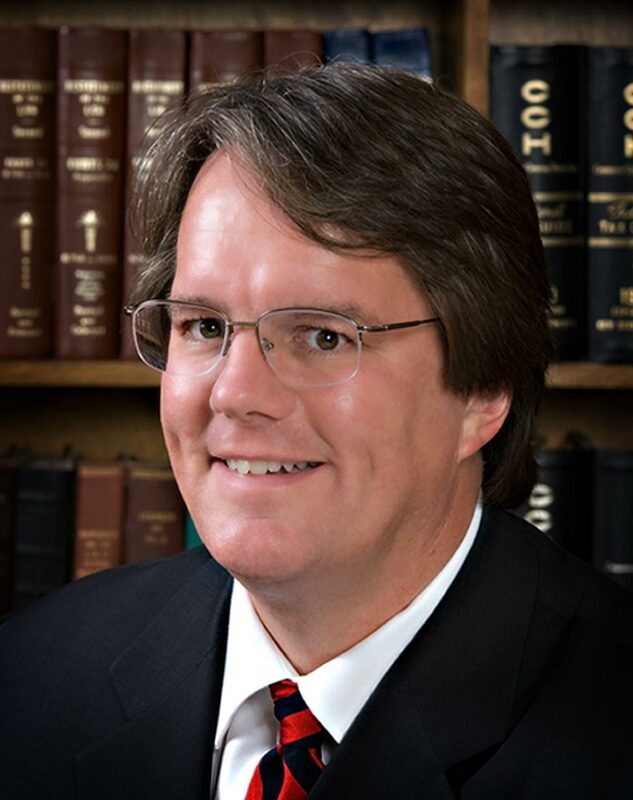 Like members of many small firms, David’s practice extends to several areas of the law, but he primarily works in the areas of estate planning, probate and trust administration, guardian and conservatorship matters, health care, real estate, business, tax, condemnation, and contract law. David is a member of the Michigan Bar Association, Calhoun County Bar Association, Calhoun County Estate Planners Council, and is licensed to practice in the State of Michigan, United States District Court for Western Michigan, United States District Court for Eastern Michigan, and the United States Tax Court. David holds a Certificate of Completion in the areas of probate and estate planning issued by the Institute of Continuing Legal Education and the Probate and Estate Planning Section of the State Bar of Michigan. David has provided pro bono services for several local churches, social organizations, community projects, work groups, and events; his membership has and does include several local organizations such as the Marshall Area Development Alliance, Guardian Finance and Advocacy Services, Homer Education Foundation, Marshall Lions Club, Marshall School Board of Education, First Presbyterian Church of Marshall, Oaklawn Hospital, Marshall Junior Football League, Marshall United Way, Marshall Junior Baseball League, Boy Scout Troop 337, Marshall Zoning Board of Appeals, and Kellogg Community College Paralegal Advisory Board. David is a member of the community board of directors for Chemical Bank. Occasionally, the local paper will print articles David has written on timely legal issues affecting people.